Today, there are an ever-growing number of threats to businesses and uptime is crucial. Data protection has never been a more important function of IT. Luckily, data protection can now be provided as a service. Get this white paper to learn more. The advent of Office 365 freed organizations from managing Office applications on-site. However, this also meant many organizations stopped backing up their Office data. Get this white paper and learn how to protect your Office 365 data with backups. Ransomware, insider threats and plain old accidents have caused irreparable damage to Office 365 data across the globe. With one simple solution, cloud backup, you can help to prevent and mitigate the impact of these threats on your organization. 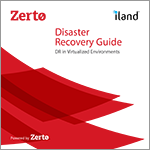 This guide provides an action-oriented way to get started quickly with cloud backup and DRaaS with input from disaster recovery experts at iland experienced in Veeam and Zerto. Veeam Cloud Connect can be a powerful tool when used correctly. Learn about the top 10 best practices you should follow to optimize your Veeam Cloud Connect experience with a cloud provider like iland. No two cloud migrations are the same. Your journey to the cloud is unique, because your business is unique. Read this eBook to learn about the most common issues when migrating and maintaining your cloud environment, as well as technology that can smooth your journey and help you once you arrive to the cloud. 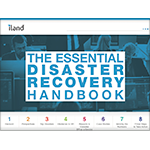 Security Now has created an eBook focused on common issues in cloud-based backup and disaster recovery (DR). In this eBook, you’ll learn what the changing security landscape means for your DR plans, as well as how new rules and regulations are making IT executives rethink their plans. Businesses are getting hit with hackers, crypto miner bots and ransomware attacks every day. While there is no quick fix or single answer to prevent situations like those, there is a way to make sure your data and business are safe. Businesses are moving more and more of their workloads to the cloud – but not every business is taking the necessary precautions to keep their data safe. Download this survey report to find out what IT teams are doing to protect the data in their virtual environments (you might be surprised to see where you stand). Sure, you've heard of the 3-2-1 rule of availability, but are you following it? With Veeam Cloud Connect (VCC), IT pros like you can fulfill this rule by enabling backup to an off-site cloud repository or by copying your local backups to the cloud. Download this white paper to learn everything you need to know about VCC. For VMware users in particular, there are specific benefits in leveraging a native VMware cloud. From avoiding messy hypervisor conversions to using familiar workflows, this white paper covers the top things to consider when choosing between a hyperscale cloud and a native VMware cloud. It's time to pick a cloud provider. But where do you start? 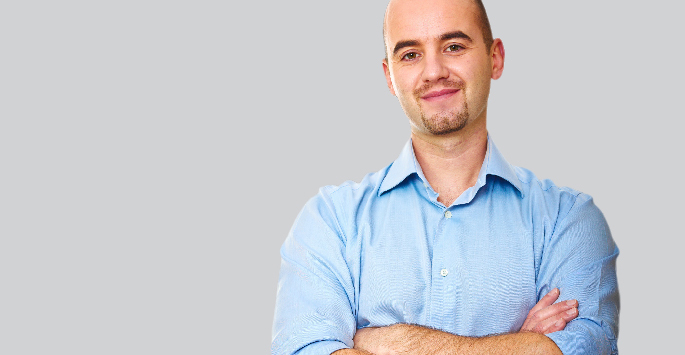 Download the white paper for the 13 questions to ask as you evaluate cloud providers. Regulatory compliance is too important for you and your company to turn a blind eye. When it comes to selecting a cloud provider, you need to make sure they operate to your business’s standards. In this white paper, learn about the differences between backup and Disaster Recovery, and learn which one is the best for your business. If you’re looking to kick off your DR planning, it might be frustrating to hunt for the answers you need. We get it. That’s why we put together this eBook. It covers DR, soup to nuts. In this white paper we dive into the challenges, strategies, and solutions for disaster recovery and business continuity of virtualized infrastructure and cloud. Getting the C-Suite to commit to DRaaS can be tough. Often times, they see it as an insurance policy and aren’t ready to add it to the budget. Download this white paper to learn how you can build the case for disaster recovery. With the industrialization of hacking and the enormous impact of security breaches, governments, industries and individual organizations are increasingly adopting regulations and standards to handle sensitive information. Download the DR Doppelgänger eBook to learn your greatest disaster recovery challenges, how to play to your strengths as a DR leader and the right next steps to moving your company to DRaaS bliss. You've made the decision to move to, or move more to the cloud. But how can you take a systematic approach and keep the migration process as painless as possible? Business leaders across the globe may think disaster recovery (DR) is too expensive, too complex or that a disaster is unlikely to impact them. Yet human error, cybercrime or a natural disaster can cause their company’s digital infrastructure to come crashing down in a split second. Then what?